Everyone loves antipasto salad- A real holiday pleaser! 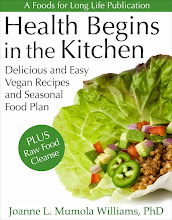 Preview Health Begins in the Kitchen. So for those of you coming to my Thanksgiving feast this year, expect to see a huge platter of this delicious vegan and gluten free antipasto salad! 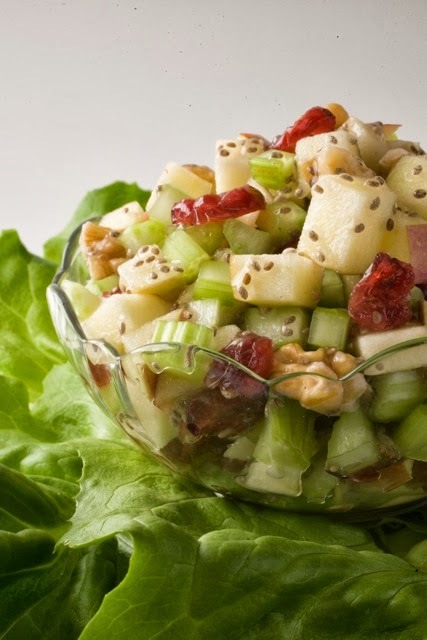 Feel free to substitute your favorite fresh salad or olive bar ingredients for the ones listed in this recipe. Or just add more ingredients. At dinner last night, while consuming (and testing!) 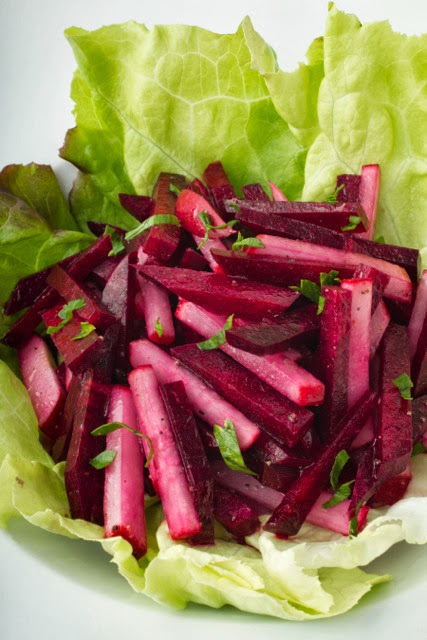 an entire platter of this salad, my husband mentioned that I left out radishes, his favorite. So we quickly cut up a bunch of them and threw them on! So if I left out something you love, please don't hesitate to make modifications. My father's favorite antipasto ingredient was garbanzo beans. Even though he is no longer with us, I always include garbanzos in my holiday salad to make me feel like he's at the table. When shopping for garbanzos this week, I was very excited to discover that Whole Foods now sells them and other beans in little boxes that are BPA free! BPA, or bisphenol-A, is an industrial chemical that is commonly found in the lining of cans. Beans are one of the only things that I still buy in cans so it is worrisome. There are companies, like Eden Foods, that make cans without a BPA lining but these companies are few and far between. BPA is an endocrine disruptor because it mimics the body's hormones and is linked to an increased risk of infertility, obesity, breast and other cancers. So if you can find these cute boxes of BPA-free beans, they are a better choice than canned beans that have BPA linings. Whole Foods sells beans in boxes. BPA linings in canned goods. Mix the oil, lemon juice, vinegar, garlic, salt, and pepper in a large bowl and whisk until combined. Stir in the onions and let them marinate while you are preparing the remaining ingredients. Add the remaining ingredients and toss until well combined. Spoon onto a large, shallow platter and serve. than a tall salad bowl. 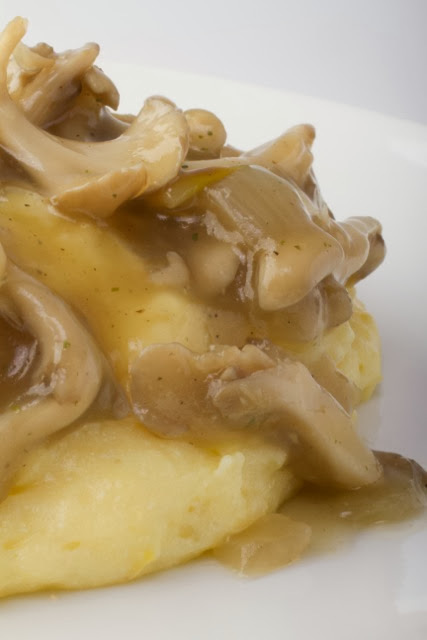 Check out other healthy and delicious vegan and gluten-free Thanksgiving and holiday favorites. Enjoy our holiday price of $9.99! The holidays are upon us - Thanksgiving, Hanukkah, Christmas, and New Years. T'is the season to entertain our friends and families. I would guess that more cooking is done this time of year than any other. And with all this cooking, people do more eating as well. Millions of people gain weight during the holidays and many carry it around with them for a very long time, if not forever. But there's no need to trash your diet. A few years ago, a friend asked a simple question which I have pondered since. our friends and family when we entertain?" Think about it. It's almost a reflex to think our guests want cheese and crackers, roasted and salted nuts, queso dip and chips and fattening desserts. Even I hesitate to serve people whole grain or gluten-free pasta instead of that made from semolina as they expect. But the good news is that you can serve delicious holiday favorites without trashing your diet and without compromising taste and enjoyment! 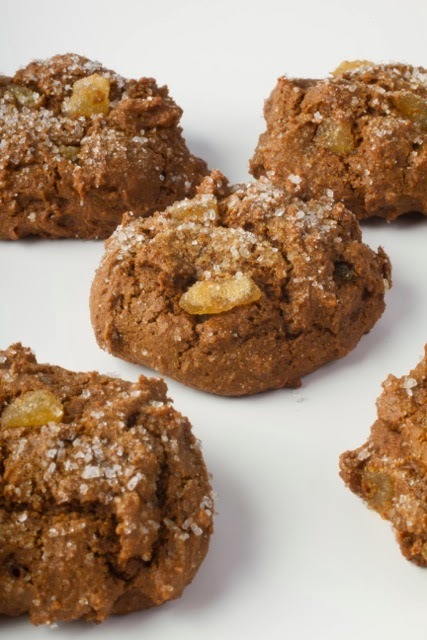 Among the 160 healthy, vegan recipes in my ebook, Health Begins in the Kitchen, there are many holiday favorites that are delicious and guilt free. Buy it for someone you love for Hanukkah or Christmas! Everything Orange Soup - Vegan And Gluten Free, Perfect For Thanksgiving! blend up into this healthy autumn soup. 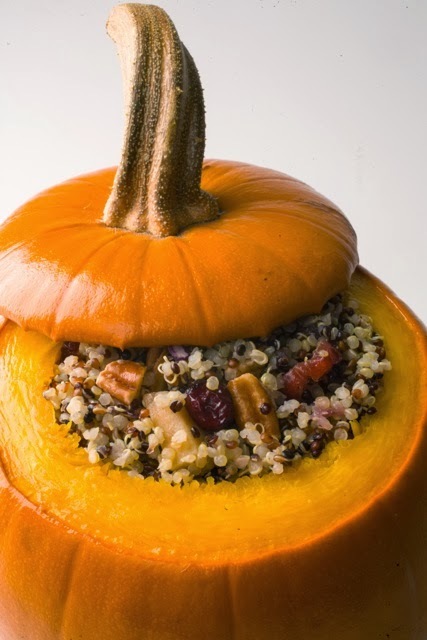 Perfect for Thanksgiving or even Halloween! 1. an innate, typically fixed pattern of behavior in animals in response to certain stimuli. In this case, the stimuli is fall, the leaves turning color, and the cooler weather. The fixed pattern of behavior, at least for me, is to make soup! This instinctive behavior was part of the driving force behind my Seasonally Raw Food Plan that I write about in my book, Health Begins in the Kitchen. 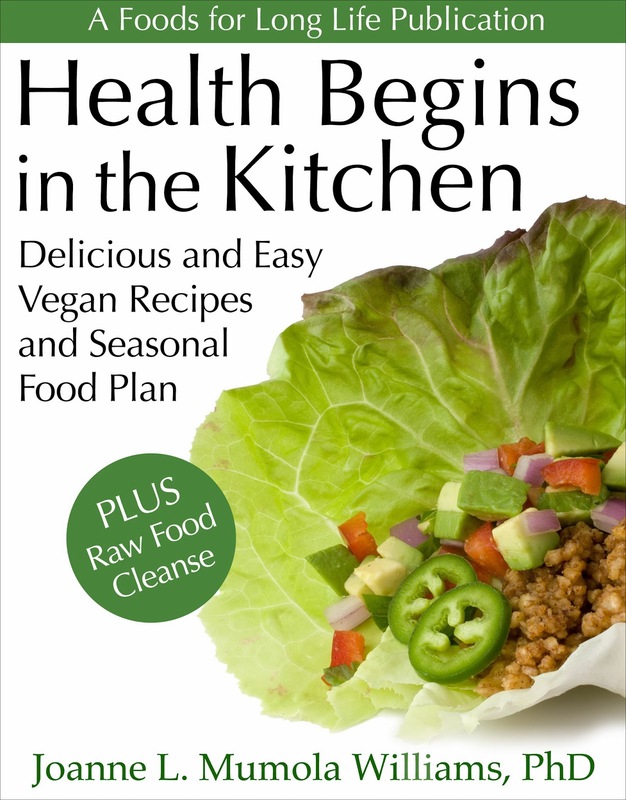 Despite my love of raw food and my belief of its critical role in a healthy diet, I believe that certain seasons and climates dictate the percentage and balance of raw and cooked foods in our diet. I almost named this dish Phytochemical Stew but I realized that, besides me, not many people would find that appetizing. But when I look at the beautiful orange color of squash, carrots, fresh oranges, and turmeric, I see phytochemicals such as carotenoids, flavonoids and more. And although the original purpose of these plant chemicals is to protect the plants themselves, research demonstrates that these substances can also help protect humans from all kinds of diseases. Heat the oil in a large soup pot. Add the onions and celery and cook over medium low heat, stirring occasionally, until they soften, about 5 minutes. Add the garlic, ginger, and turmeric and cook until fragrant, about 1 to 2 minutes. Add the carrots, squash (or pumpkin), tomatoes, broth, salt and pepper and cook, covered, until the vegetables soften, about 20 minutes. 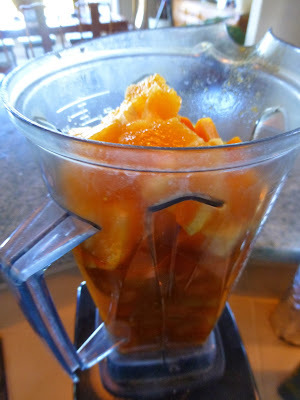 Place the soup in a high-speed blender, such as a Vitamix, together with the fresh oranges, and blend until smooth. You may have to do this in batches. Return to the pot, heat, and serve. Garnish with fresh thyme and additional freshly ground black pepper. 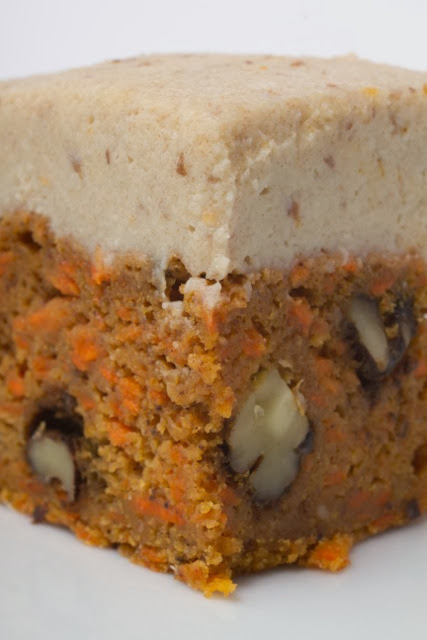 Per serving: 142 calories, 3 g total fat, 1 g saturated fat, 51 mg omega-3 and 376 mg omega-6 fatty acids, 0 mg cholesterol, 3 g protein, 28 g carbohydrates, 6 g dietary fiber, and 589 mg sodium. 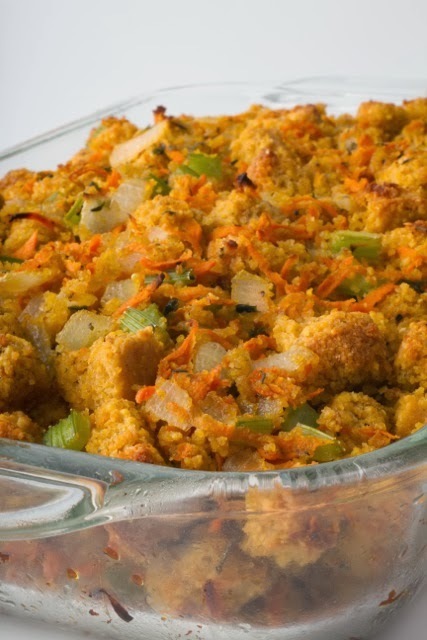 Download Health Begins in the Kitchen for lots more vegan and gluten-free Thanksgiving favorites, as well as recipes for a Raw Vegan Thanksgiving Banquet! What To Do With Fresh Figs - Enjoy Them Now But Freeze Some For Later! Plus Recipe For Fig Balsamic Vinaigrette. Our neighbor's fig tree and our fig tree are both presenting us with heavenly sweet figs. Unfortunately figs are so perishable and have such a short season, most people have very little time to enjoy this magnificent fruit. A few years ago we planted a Janice Seedless Kadota fig. 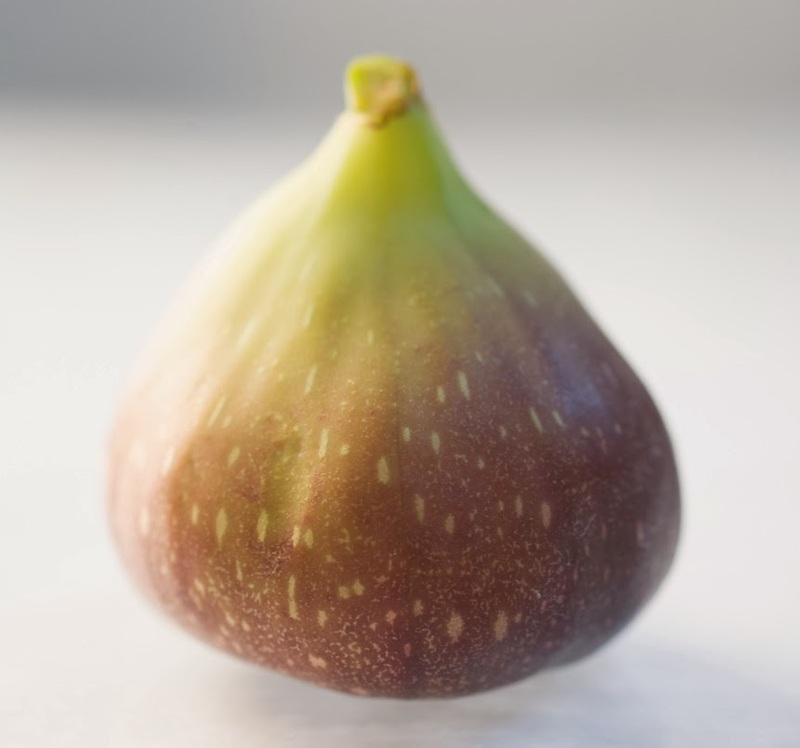 It's a fairly new breed of white fig that is exceptionally sweet and has very few seeds. It had a slow start because we decided to move it to a new location, but it is now starting to produce very lovely figs. Besides popping them in your mouth, diced figs are wonderful in a morning fruit salad or sliced and tossed in a green salad. Add diced figs to your breakfast fruit salad. 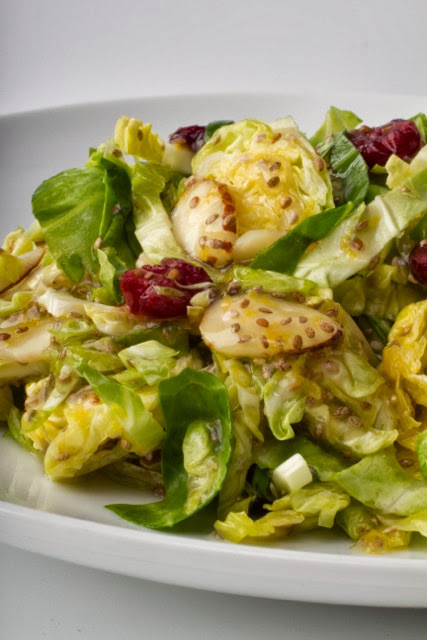 Add sliced figs to your green salads. They also make a wonderful fig balsamic vinaigrette. Place all ingredients into a high-speed blender, such as a Vitamix, and blend until smooth. If it's too thick, add more water or some almond milk. One of my favorite things to do with figs is to add them to my smoothies. They thicken and sweeten any smoothie recipe, like this Raw Vegan and Gluten-Free Apple Pear Green Smoothie. Or use them to add sweetness to a blended soup recipe, like this Raw Vegan and Gluten-Free Butternut Squash Soup with Fresh Figs. In order to enjoy figs in your smoothies or soups all year long, vacuum seal them. First, wash and dry the figs. Cut them in half and place them on a cookie sheet. Once the figs are frozen, vacuum seal them using a product like FoodSaver Vacuum Sealer. Our figs last in the freezer for an entire year when properly sealed. And if your fig tree is as prolific as most, you'll have plenty to save! Cherry tomato pasta with peas. The beds were filled with a variety of seeds, from zinnias, to sunflowers. There was, however, a tiny cherry tomato plant in the center of the main flower bed. We asked the bride and groom if they minded us leaving it there since it would be the only edible thing we were growing this summer besides the wedding flowers. They didn't mind at all. Since they are both would-be farmers, they would have been just as happy getting married in a field of zucchini. So with much love and care, the little flowers grew into bigger flowers. And the tiny cherry tomato plant, getting more water than it should because of the flowers, grew into a giant, almost mutant, tomato plant about 5 feet tall and 5 feet wide. I continued to ask the bride and groom if they minded having a massive tomato plant as the backdrop of their nuptials, but they insisted that it was ok. I hated to rip it out as, despite it's healthy growth, it hadn't yet produced a single tomato! So there sat, in all it's glory, proudly beside the wedding chuppah and beds of lovely flowers, our massive tomato bush and it's unripened green tomatoes. You can see it, in the picture below, behind the yellow snapdragons. Here we are in October getting bombarded with these beautiful, plump cherry tomatoes that eluded us all summer. Today's recipe makes a cherry tomato sauce with peas that you can put over pasta, rice, quinoa or any other grain. My pesca-vegan friends can add a can of oil-packed Italian tuna fish, which can be flaked in at the end. Finally, the wedding tomato plant starts to deliver! Prepare the pasta according to directions. Drain and set aside. While the pasta is cooking, heat the oil in a medium saucepan, on medium low heat. Add the onions and cook until they soften, about 5 minutes. Add the cherry tomatoes, black pepper, parsley, and basil and simmer until the tomatoes soften and begin to get juicy and break down, about 8 to 10 minutes. If they look dry, add a splash of water or white wine. Cook until tomatoes break down. Add the peas and their liquid. 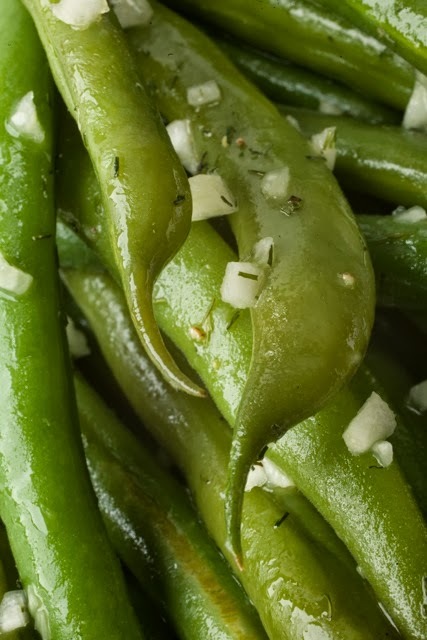 The liquid from the peas adds to the flavor of the sauce. Cook for several minutes until the peas are heated through and serve over pasta. Per serving (with gluten-free pasta): 338 calories, 5 g total fat, 0.5 g saturated fat, 60 mg omega-3 and 574 mg omega-6 fatty acids, 0 mg cholesterol, 9 g protein, 67 g carbohydrates, 10 g dietary fiber, and 423 mg sodium. Per serving (with whole wheat pasta): 333 calories, 5 g total fat, 0.5 g saturated fat, 75 mg omega-3 and 875 omega-6 fatty acids, 0 mg cholesterol, 14 g protein, 63 g carbohydrates, 11 mg dietary fiber, and 423 mg sodium. 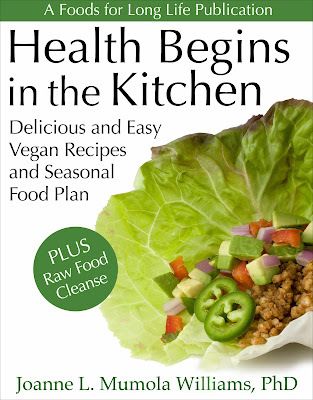 For more delicious vegan recipes, preview my eBook, Health Begins in the Kitchen: Delicious and Easy Vegan Recipes and Seasonal Food Plan PLUS Raw Food Cleanse. Padron peppers - some are hot, some are not! I was recently introduced to these tasty little peppers at Woodfour, a new local brewpub in Sebastopol. The waiter warned me that most of these peppers are pretty mild but occasionally there will be one that will set your mouth on fire. The waiter didn't lie. We popped a few in our mouths and thought, what's the big deal? These are sweet and delicious. Then my husband, who has a high tolerance for spicy food, came across one of the hottest peppers he had ever eaten! The same thing happened to me a few peppers later. Padrons, or Pimientons de Padon, are small green Spanish peppers from Galicia. Because you never know how hot the pepper is going to be, they have been called "Spanish roulette." 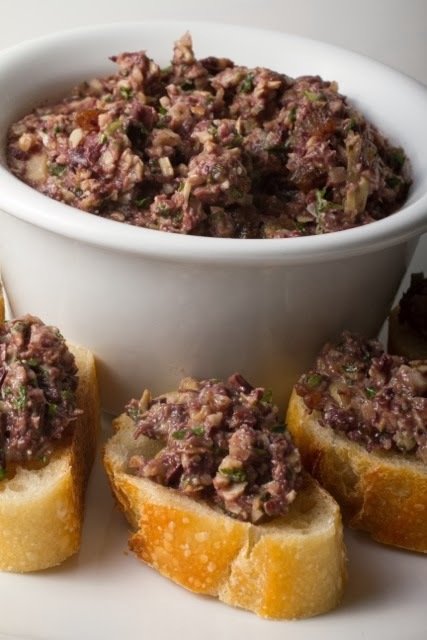 So besides being a great appetizer, they become a very exciting one. But I would certainly warn your guests beforehand and I would only serve them to people who enjoy spicy foods. But hot or not, they are one of the most delicious appetizers you can whip up in ten minutes - perfect for football season! Wash and dry the peppers. Place them in a bowl and drizzle with oil. Toss until well coated. Spread the peppers out on a cookie sheet or shallow roasting pan. Sprinkle them with salt. Roast until the peppers blister, about 5 to 7 minutes. Remove from the oven and sprinkle the peppers with nutritional yeast. Serve immediately. Per serving: 33 calories, 2 g total fat, 0.3 g saturated fat, 0 mg cholesterol, 1 g protein, 2 g carbohydrates, and 2 g dietary fiber.